The ruling coalition of the Lithuanian Farmers and Greens Union (LFGU) and the Lithuanian Social Democratic Party (LSDP) is not popular with the general public, but people do not see any other strong alternative, according to a survey conducted by the pollster RAIT for BNS. Twenty-five percent of respondents think that the current government coalition should continue, 19 percent want an early election, 14 percent believe that the LFGU should remain in office as a minority government and another 13 percent would prefer a coalition between the LFGU and the conservative Homeland Union–Lithuanian Christian Democrats. Gintautas Paluckas, the new LSDP leader, and the majority of the party's branches that have already stated their position are in favor of withdrawing from the coalition, but the Social Democrats' political group in the Seimas and their ministers want the party to stay in government. 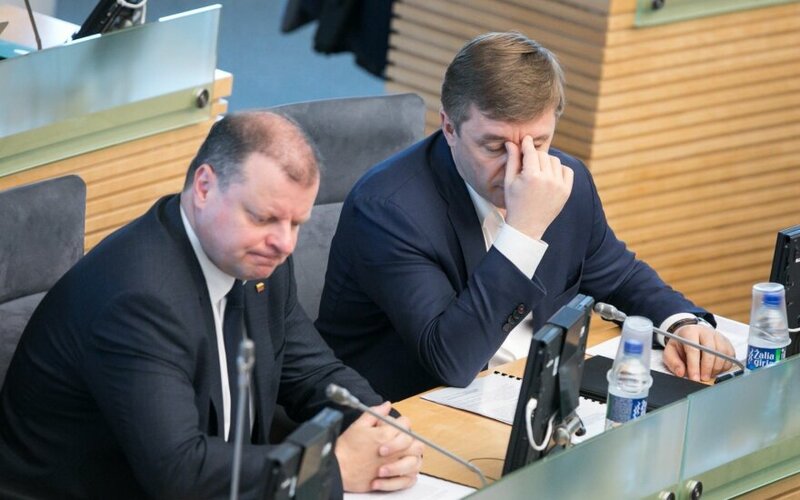 Prime Minister Saulius Skvernelis is urging the Social Democrats to make up their minds before the start of the parliament's fall session, saying that he is ready to seek alternative support. Ramūnas Karbauskis, the LFGU chairman, says that he expects the current coalition to remain intact. The Homeland Union say that they will not take active steps to form a coalition with the LFGU, but would consider an invitation to do so. The conservatives also say that they are ready to hold talks with the ruling party on individual issues. Lithuania's political leaders are not speaking, at least for now, about an early election. The LFGU political group has 56 members in the 141-seat Seimas and the Homeland Union's group has 31 members. The Social Democrats have 19 seats in the parliament. The Liberal Movement has 14 lawmakers, the Electoral Action of Poles in Lithuania – Union of Christian Families has eight, and the Order and Justice has seven. There are also five non-attached parliamentarians.